The Bedlam of Beefy: Grass is always greener. Wow! This is hot! 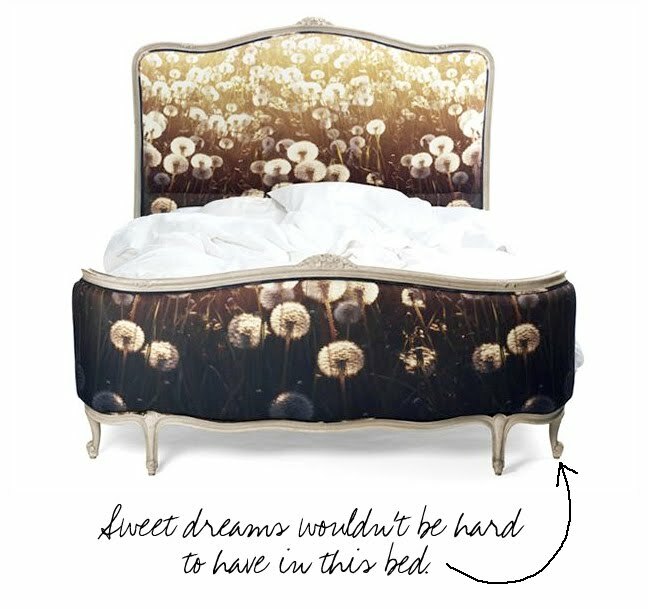 The whimsy- the bed , all so fun. those are out of control. love em. I absolutely LOVE!! So glad you posted this, it's so fabulous. Teri Rees Wang... Looks like digital printing (which can do some amazing things these days!). Fantastic, huh?!! katiedid... 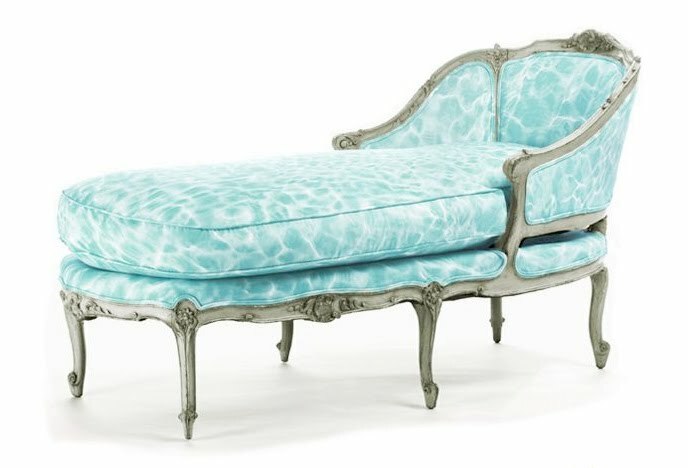 I'd much rather recline on this watery chaise than even at poolside! Oh yeah, definitely! ashlina... Thanks for stoppin' on by and, yes, totally "out of control"! Love this! Thanks for featuring! 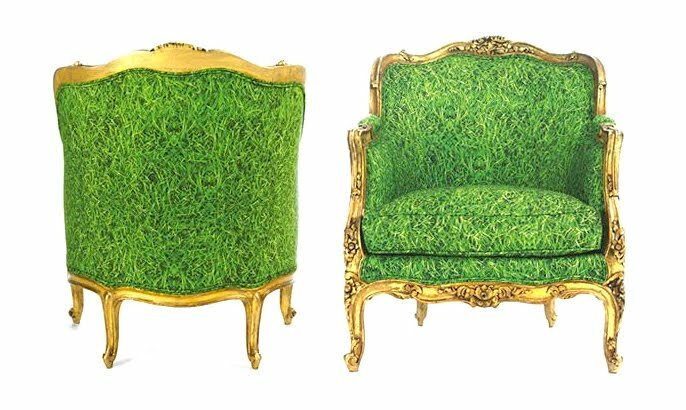 I actually found your blog/post via Nook - which also just featured "Chaircouture." Such a great idea!